These simple, old fashion wooden nickels just might be the greatest tools for dads since the You 'da Dad Daily Calendar!!! 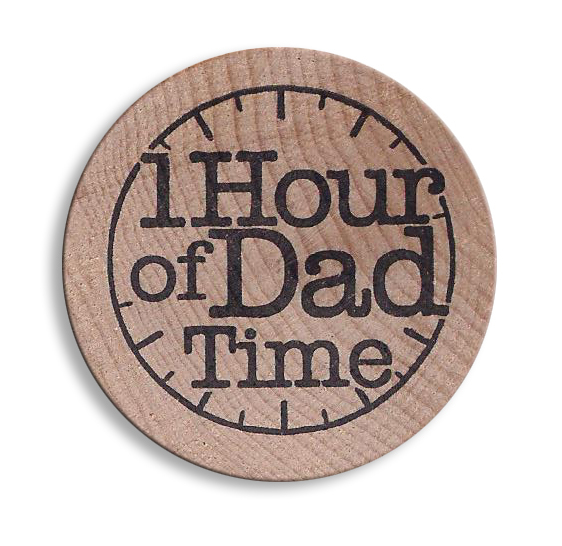 Here's how it works: hand a coin to any or as many children as you like with this instruction: You can use this anytime you'd like for ONE hour of dad-time. Then when your child presents you the coin...and you gotta do it. The thought behind the coins is this: Sometimes dads need a gentle nudge to spend quality time with their children. These coins (each set contains 5 coins) will help YOU spend your life on what matters and it will fill up your child's love tank at the same time. Win Win!!! Details: Each set comes with 5 wooden coins and are 1 1/2 inches across and made from...wood. Soft to the touch and perfect for handing out. Want to impact a lot of dads and children? Buy 20 sets (or 100 coins) and hand them out to every dad in your church or office. I'm telling you this could start a revolution of turning hearts of children towards their dads and the hearts of dads to their children. All from a wooden nickel. PS - If you order 24 sets (120 coins) we'll ship them FREE!!! Do take these wooden nickels! Perfect way to say "you are important to me" to your kids. I'm giving these to my grown boys so they can give them to their children. With all the time constraints we have, sometimes we need a nudge to put off the urgent and tend to the important. These wooden nickels, in the hands of a child, can do just that! Helps you get a simple reminder of what is truly important. 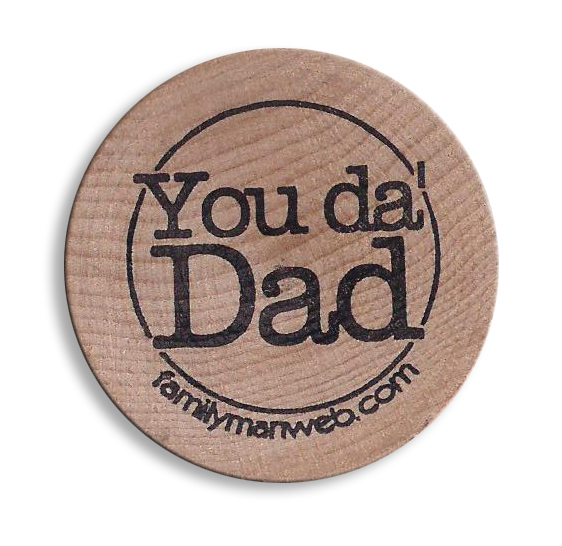 Click the button below to add the Wooden Nickels of Dad-Time to your wish list.